The first and only ART raffle where everyone wins. Without your support we would not been able to go this far. Let's take one more step together, join us next edition too! The Berta returns to Wedding, this time to Gr_und, an active space for the materialisation of curated concepts. Thanks to it's team for the trust and support. 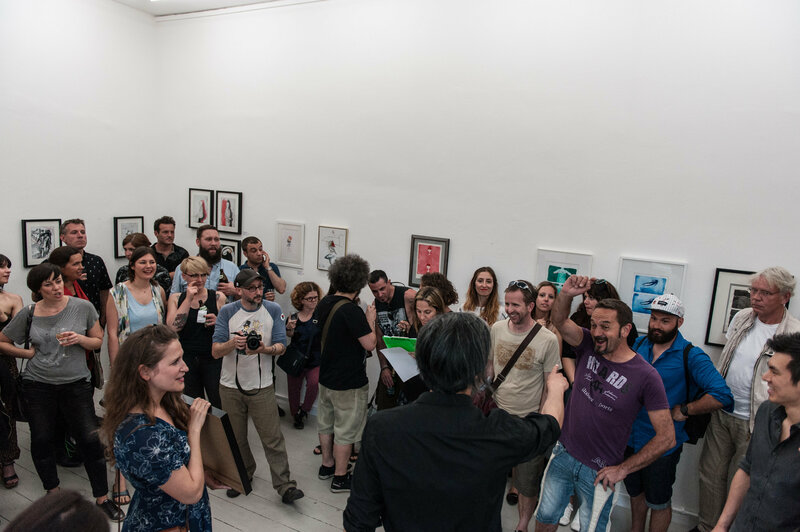 Organized by Arnejo Corata: Juan Arata & Eli Cornejo. Curated by Camille Cousin & Eli Cornejo. Special guests will share the night with us: the talented and versatile Matilde Keizer hosting the event and with the music, Dácil Granados, a.k.a Playa Chica Dj, playing her sparkling and fun sets. 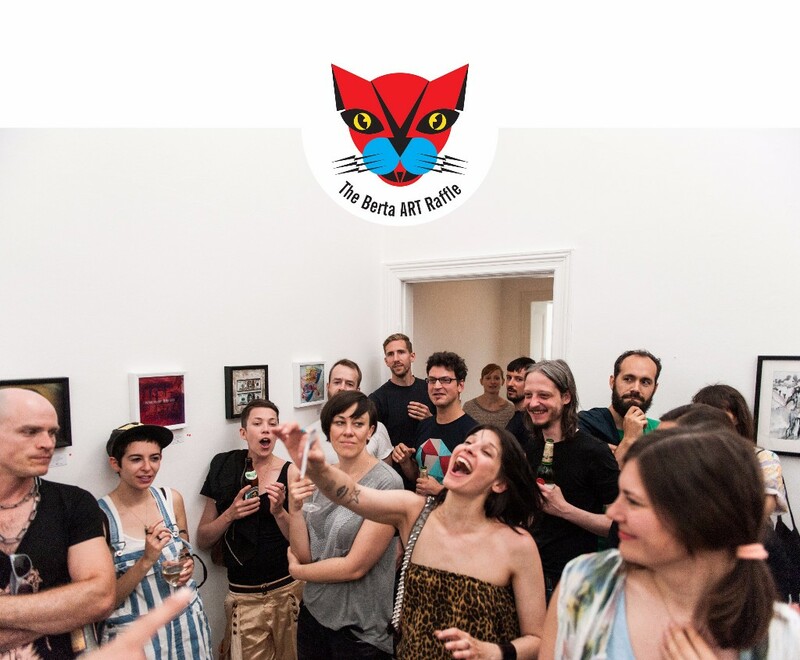 Plus a bar with snacks and drinks, an art lottery...The perfect plan for sharing a different Sunday afternoon. Come! If you want to be part of the art raffle and become sponsor of the artists and this project then GET YOUR TICKET NOW! Opening: 24th November 2017, 6pm - 10pm. 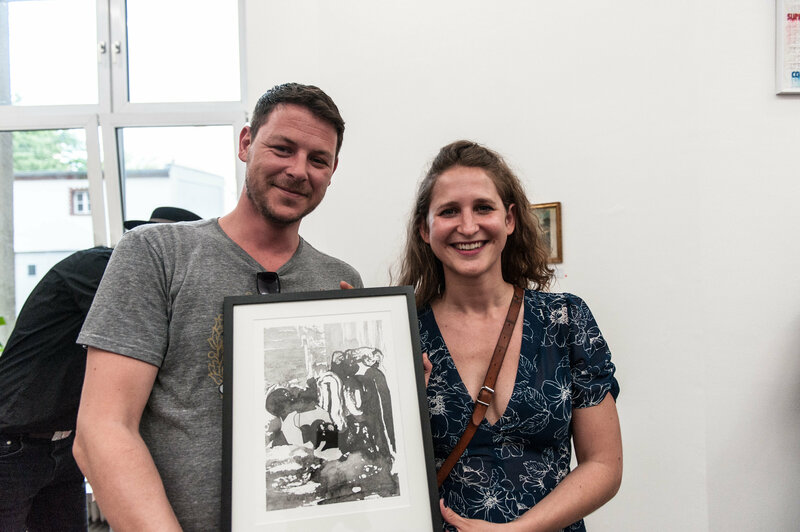 The Berta ART raffle takes place through a group exhibition that provides artists with a platform not only to display their work but also to further their careers. 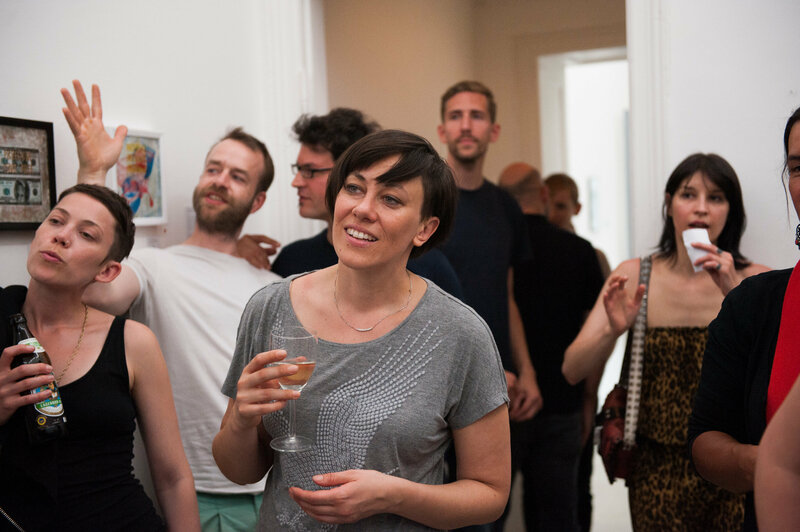 Each ticket holder becomes a patron of the artists and the project itself. The Berta is based on the symbiosis and cooperation principles. All this is possible thanks that everyone donates something but everyone “wins” something too. It’s goal is to generate a trade system where the economic benefit is not the only aim, and money is not an obstacle for make it happen. How does the ART raffle work? The project comes with an in-born twist: each ticket guarantees the owner an original artwork, determined at random by a lottery system, and the artist get a real chance at being discovered by a new audience. So the raffle becomes the "courtyard" where this artistic and human exchange happens. The system is based on mutual donations. To make it short: It’s a win-win situation. This year, the only way to secure your ticket will be through online donations, and before the 23rd of November they will be reduced. This is a NON PROFIT PROJECT. The team of organizers, curators and volunteers of this project donate their time and skills to make it possible. 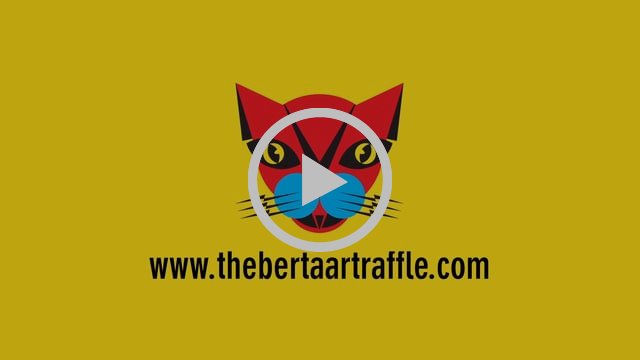 The organization of The Berta Art Raffle does not receive any monetary compensation. COMING TO THE EVENT IS ANOTHER WAY OF SUPPORTING THIS PROJECT! Thanks David Mardones for the video-invitation! Copyright © 2017 Arnejo Corata, All rights reserved. Arnejo Corata is a collaboration between Juan Arata and Eli Cornejo formed in 2013. Together they work on different projects materialised as artworks or cultural events.